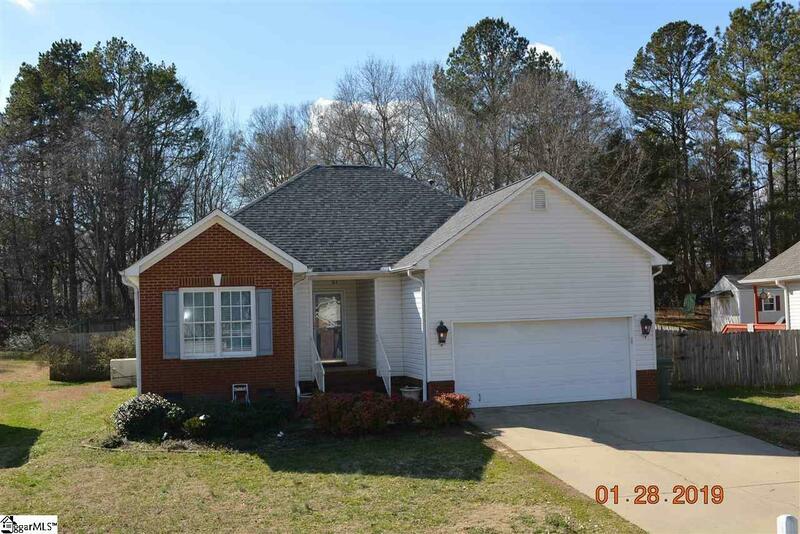 Fantastic opportunity to own a beautiful ranch home in Fountain Inn&apos;s Eagle Watch subdivision! This charming home features a vaulted ceiling in the great room, with a gas log fireplace and an eat-in kitchen area that opens up to a spacious deck. The huge yard enjoys tall, mature trees at the rear, and a fenced dog pen area. This lovely home features a brand new roof as of 2018 and various upgrades throughout! This charming home is only minutes from Main St, downtown Fountain Inn, downtown Simpsonville, the 385 FWY and all of the wonderful shops and restaurants along Fairview Rd! Come see this wonderful and property today! Great home, great location, great opportunity!